What is disturbing when reviewing the history of this time is how many Christian ministers defended the actions of government as fulfilling Holy Scripture’s mandates to care for the poor, provide for parents in their old age and give to those who ask of you. With this shift of thinking, the state began to function in roles once reserved for the church—to the detriment of any who would question the legitimacy of the legislation on theological grounds. The same reception awaits those in the modern day who seek to resist any “progressive” social policy in any way for fear that they will be branded as uncaring or un-Christian in their ideas. Has government power expanded to such a degree that the church now has no voice at all in the public square? Perhaps, but the modern era of public policy reveals just how much the government has gained and how much the church has lost. The statement that caught my eye was “the state began to function in roles once reserved for the church.” Perhaps that’s true concerning the situation in the United States prior to Roosevelt’s tenure as president. But should one begin to ponder other times and other places, this simplistic assessment quickly becomes untenable. Consider, for example, Israel’s Old Testament laws concerning the poor. Here we have biblical commands concerning treatment of the poor, to be sure. Yet Luther would argue that such commands were given to Israel as a nation and are not timeless laws for the church. So, much in the Old Testament regarding the poor is, in fact, about government rather than about the church. In the New Testament, care for the poor seems to be focused on the church’s own poor rather than on the poor generally speaking. At the very same time, it was the Roman government that provided “bread and circuses” for the poor of Rome. If the motive was to keep the lower classes from rioting rather than charity, it makes little difference to the argument. In the Middle Ages, the church cared for the poor, but it did so out of the tithe, a tax levied on the populace. Thus the church’s “charitable” activity toward the poor was funded by the coercive collection of revenue. So does that qualify as church or government? If government is understood as founded by God with certain responsibilities, as the Lutheran understanding of the two kingdoms has it, then there is no particular reason to conclude that Scripture speaks only or always to the responsibilities of the church when care for the poor is discussed. Perhaps such care is among those negotiable, rather than fixed, duties that are at some times best fulfilled by the church and at others by the government. Lutherans have always believed there is a line between church and government, but we have not always drawn that line in the same place. Baker’s concluding suggestion that the issue is a zero-sum power game—it’s about what the government has gained and the church has lost—struck me as odd. I would suggest, rather, that this is an issue of which entity is best positioned to care for all those in need. Christians as citizens can discuss (rather than argue about) the answer to that question precisely because it is not an issue of the government somehow usurping what has always been the purview of the church. 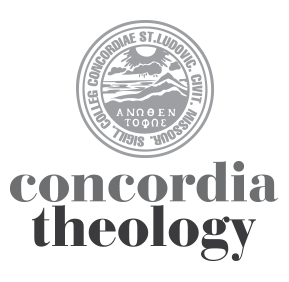 Paul Robinson teaches historical theology at Concordia Seminary. His areas of interest include the late Middle Ages, the Lutheran Reformation, and military history. He is the author of Martin Luther: A Life Reformed in the World History Biography series. Thank you, Dr. Robinson. My congregation is currently studying the two kingdoms on Sunday morning and this will be a nice piece for us to consider in our discussion. Interesting how the discussion has shifted: the Evangelicals were concerned with the Church “taking the empire away from the emperor,” (AC XXVIII, 3), not with the state usurping the Church’s authority. I’m not concerned about this happening unless they start offering the Gospel and Sacraments down at city hall. The Church isn’t a soup kitchen; it’s the place where Gospel & Sacrament take place. That’s obviously not to say we can’t or shouldn’t help the poor, obviously. But this role is certainly not the sole possession or responsibility of the Church. This is a good reminder that God does indeed work through His left-hand realm. There’s no need to look for a one-sided work for caring for those in need by the church alone. In fact, I would like to add the flip side of the coin that, if we mingle caring for the poor and why we meet on Sunday morning, we sometimes get funny ideas, for example, churches giving up meeting on Sunday morning once in a while to go “do ministry” by feeding the homeless. A proper distinction (not separation) of the two realms is healthy. Thanks for the replies. There is so much more that can, and probably should, be said on the topic. As Eric points out with the AC quote, your answer to this question can depend on what battle you’re fighting. I just reread an article by Gustaf Wingren in which he was fighting, among other things, against the results of state encroachment on the church in the centuries after Luther–so precisely the opposite of the medieval problem. It does happen, but I don’t think it’s happening on this particular issue. Jaime reminds us not to overlook vocation when we consider our service as Christians. What people do during the week and in their vocation as citizens “counts” as doing God’s work in the world–care for others does not need to be fully funded and exclusively owned by the church. Wonderful, thank you for the history lesson behind this. Personally, when I become president, the roles will be moved back to the churches (with constitutional tax incentives), because the local church is in a much better place to help the poor than the national government due precisely to the proximity issue. Good to hear from you, Mike. There is quite a bit of validity to that idea. But just to spark some conversation, you mention churches—what about mosques? One of the ways radical Islam wins converts in other countries is by food distribution to the poor. Should the government encourage and subsidize that? Or exclude certain groups from the tax incentives? Or maybe local, as opposed to national, government is the answer? All of this is worth some conversation in the church as well as in the public square.